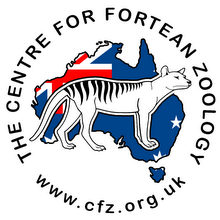 Centre for Fortean Zoology Australia: Is cloning the answer for extinct species? Is cloning a viable technique for saving species from extinction, and what are the ethical and ecological implications of bringing animals back from the dead? John Pickerell explores the biological minefield over at the ABC website. Cloning a thylacine would be very difficult, says geneticist Andrew Pask, who was part of a Melbourne University team that was able to incorporate several functioning Tasmanian tiger genes into a live mouse embryo in 2008. Even though tiger specimens are preserved in jars in Australian museums, the pickling process has not preserved the delicate DNA well. "For species such as the thylacine, the fragmented nature of the genome poses big issues when trying to reconstruct it," he says. "It is essentially trying to piece back together a 30-million-piece puzzle, without the picture on the box to guide you... The fact is that we will never be able to tell exactly how those repeats go back together, and the best we will be able to do is compare these pieces to a closely related animal genome - so getting a puzzle box picture of something similar." Unfortunately, the Tasmanian tiger has few close living relatives and it's hard to imagine which could act as a surrogate. 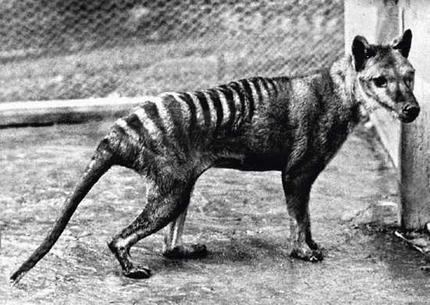 We also have no idea how thylacine DNA was arranged into chromosomes. 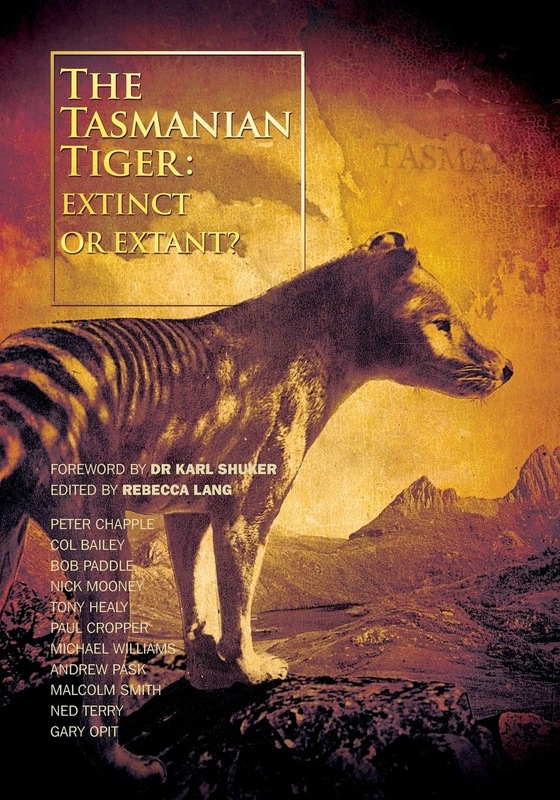 "The best option would be to take those from a [relatively] closely related species such as the numbat, and replace sequences that look different between the thylacine and the numbat," says Pask. "But it is a huge undertaking and well beyond the capabilities of current labs."